BMW Motorsport GmbH was formed in 1972 to build high-performance cars. The division's first involvement with IMSA was in 1975 with the 3.0 CSL. This initial foray was very successful with the team taking wins at Sebring, Laguna Seca, Riverside and the Daytona 250. 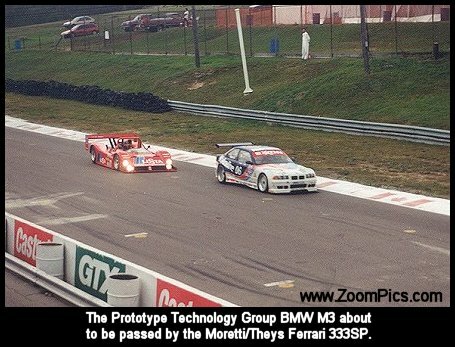 In 1995, Prototype Technology Group became BMW's primary U.S. motorsports partner for the BMW M3. The 1996 IMSA GT series was a 10-race championship. The series was comprised of three different categories - WSC, GTS-1 and GTS-2. The class with the greatest number of entries was GTS-2, which included cars such as the Mazda RX-7, Porsche 911 and BMW M3. 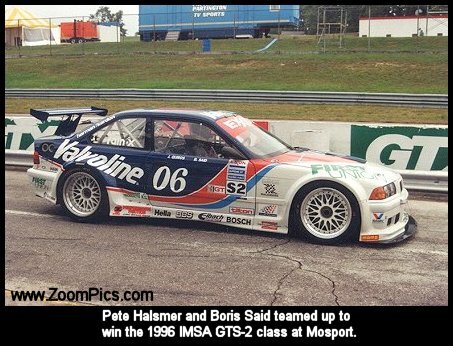 The PTG team employed drivers Pete Halsmer, Boris Said, Bill Auberlen, David Donohue and Javier Quiros to drive their BMW M3s. The 1996 IMSA GTS-2 class rules prohibited the use of a tube frame chassis. The PTG BMWs were a steel uni-body with safety and rigidity achieved through a roll cage. The cars also retained their original suspension design - MacPherson struts on the front and an independent rear suspension. The M3s were also equipped with 18-inch wheels and tipped the scales at 2300-lbs. A 3.2-liter DOHC inline 6-cylinder motor powered the cars. Aided by a Bosch Motronic fuel injection system the M3s produced 380-horsepower. As a comparison, the production version of the M3 produced 240-horsepower and weighed 3175-lbs. Seen above and below are the PTG prepared cars at Mosport in 1996. 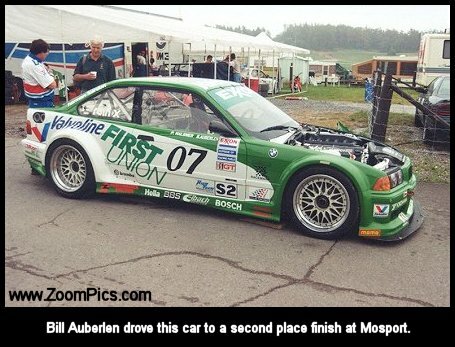 It was not until round seven at Sears Point that the M3s got their first win. But this was done in a commanding fashion with Halsmer, Auberlen and Said finishing 1-2-3. 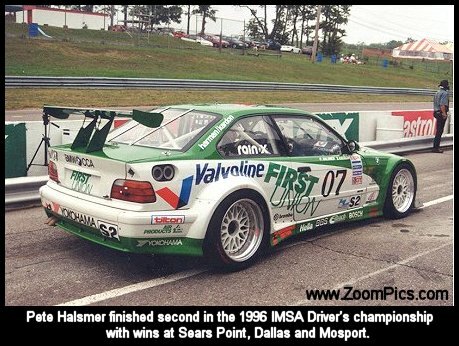 The team also took wins at Mosport, Dallas and the finale at Daytona. These wins and podium finishes early in the season allowed BMW to capture 1996 IMSA GTS-2 Manufacturers title.